I'm so excited about this. I used to use Emeals years ago & then just sort of fizzed out on it. Last year, I did a year's subscription to the Happy Herbivore & that was nice having meal plans all laid out. That plan was all vegan & sometimes made things complicated for me, though I did get some great recipes throughout the year from it. But I wasn't going to pay the fee (wow... her fee is expensive compared to others) for something that I used only sometimes. So I checked out Emeals & thought, why not try it again. I also found out this time around, they have an app that holds the past 2 weeks recipes as well as a check list for the grocery that you can take with you! Love that! It just started last week for its last season & it looks like its back to the basics of what the show is about... being back in high school & show choir competitions. I'm glad that whole "New York" thing is over & they are back in McKinnely... with Sue Sylvester back to her wonderful wicked ways. It's now on Friday nights if anyone is bored tonight. The fact that I'll be home watching it, knitting while on my couch, I'm not sure what that says about my life... let's not overthink it. I used to make smoothies every day & have gotten out of the habit of doing it. I really want to get it back in my system... literally. It was a good way for me to get like 2 fruits & 2 veggies in my body before the sun even rose. So I'm back on the hunt for some good easy smoothie recipes. I used PB2 for the first time in my smoothie yesterday & it was delish with banana. Time for me to start buying spinach in bulk again. The greener the smoothie, the better. I haven't used my library card in so long, I lost it... but I have a new one. I mentioned this yesterday, that I got some audio books & it has just made me so happy. 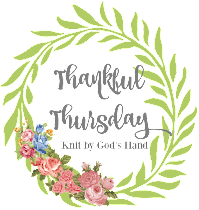 So you could imagine how much more my happy level rose when my blog friend Cathy linked up yesterday for Thankful Thursday & mentioned free audio books you could download from the library. .... WHAT IS THIS MAGIC? ... I immediately went to my local library's web site & found out I too could download audio books on my computer or phone or tablet... I spent all day yesterday literally laughing at loud listening to Bossypants by Tina Fey. Knowing I have all these books I can listen to now just made my work day so much better. Tomorrow, its going to be in the 50's... the 50's!!!! I feel like its going to be the best day of the year. I want to sit out in the sun & just soak up something other then freezing temperatures. Breath in fresh air. Maybe even clean my car out... the good Lord knows my car looks like a science experiment is happening down on the carpet & probably in between the seats. Not to mention, I've had a dead bee sitting on my dashboard for the past 2 months. 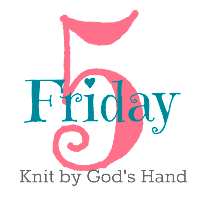 I think the cold comes back next week, but its all about appreciating life a day at a time... I'll really be appreciating it tomorrow. I love smoothies!!! Although, I never make them at home...I probably should. I've never heard of emeals before, I'm going to have to check it out! And I've just started making smoothies since we got a blender for Christmas. I've kind of been winging it with Jugurtha, almond milk, frozen fruit and some banana. 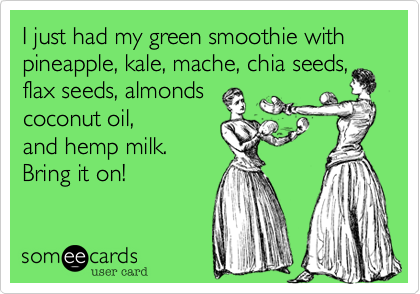 I haven't tried a green smoothie yet, they look intimidating! I don't do smoothies (although my sister does). I don't watch Glee, although I do like the music, just not the storylines. Glad you were able to get the audiobooks from your library...aren't they the greatest! And now I want to see if my library has that Tina Fey book. I love to laugh out loud! smoothies are definitely the best way for me to get my fruits and veg in! Yaaayy I feel the same way as you about the weather! Seriously, I haven't seen the sun in a week and it's getting depressing! I heard something about 60 tomorrow, so if that's the case, I will definitely be doing some frolicking :) I need to get back into the smoothie habit. I have tons of awesome powder from GNC, but I just stopped when my old blender broke and never picked it back up after we got a new one. Yep, I'm a Gleek and my husband watches it with me! I love smoothies too and have to start up again. I was making them daily almost all last year and then stopped around Thanksgiving time. Our son will be in town (recently moved away) and we get to celebrate his 36th birthday.....Hooray! warm days make me happy!! I've always said that if someone would just plan my meals for me, I wouldn't mind cooking them so I'm definitely checking out emeals! We need to get back in the habit of smoothies! You'll have to share all your favorite recipes. Where do you get your spinach from?